be used with this item. Prices are as marked. 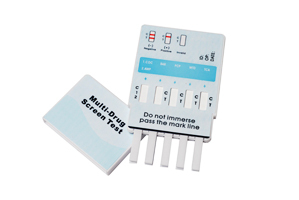 The 5-Panel/Dip Device is the quick and affordable instant on-site drug screening solution. immunoassay for the qualitative detection of multiple drugs and drug metabolites in urine. The Panel/Dip Device is FDA 510(K) cleared to market and uses SAMHSA approved guidelines. clinical, hospital, and personal use.